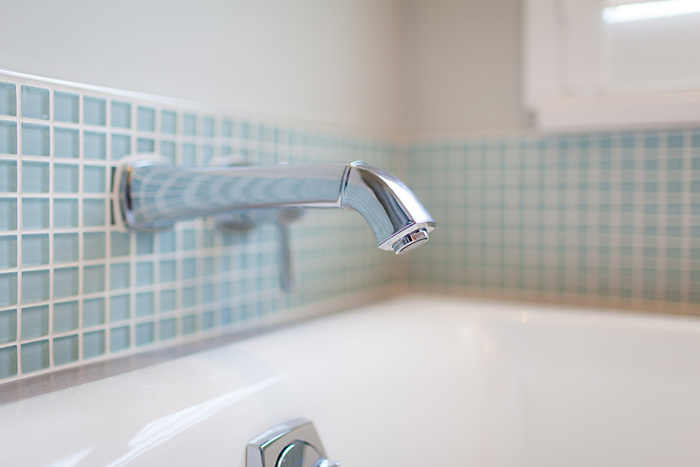 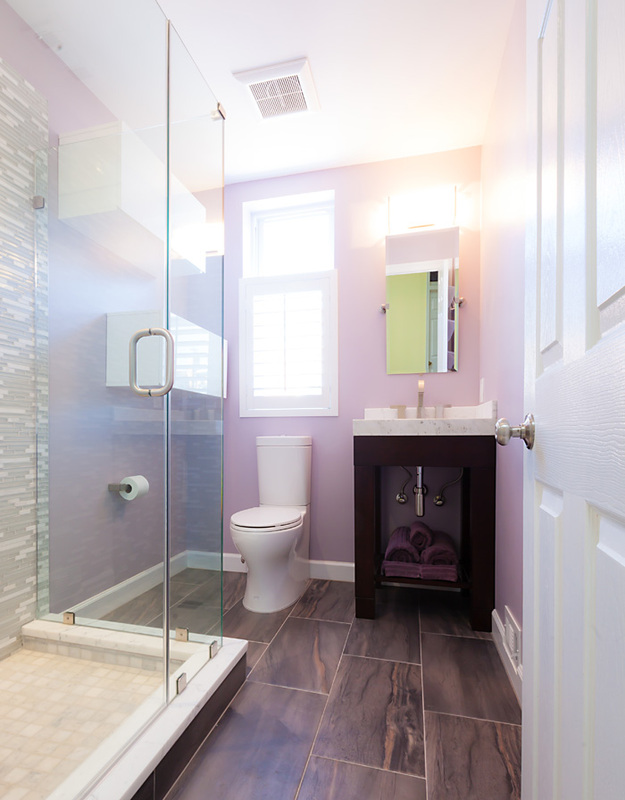 The home’s original bathrooms boasted lots of space—unfortunately—most of it was outdated or unusable. 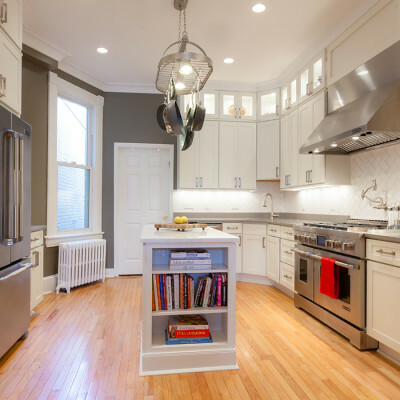 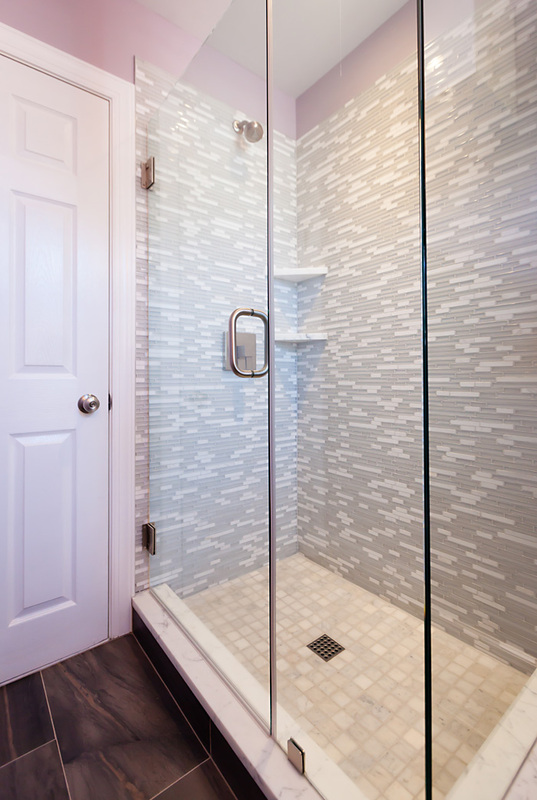 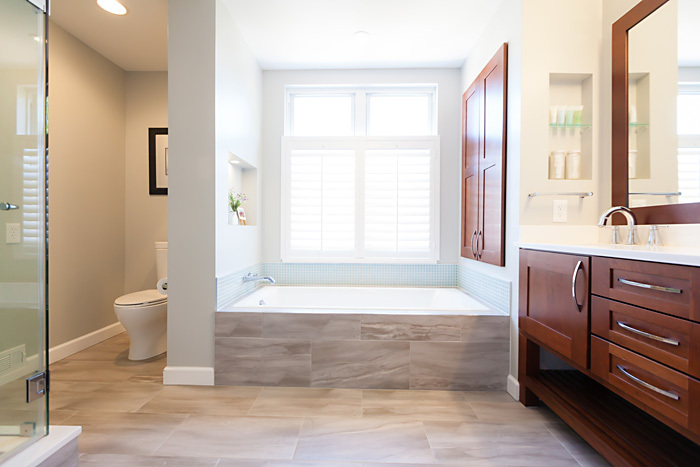 With an awkward layout that provided plenty of potential, our clients acquired our services to reconfigure their master bath and closet, hall bathroom and laundry area. 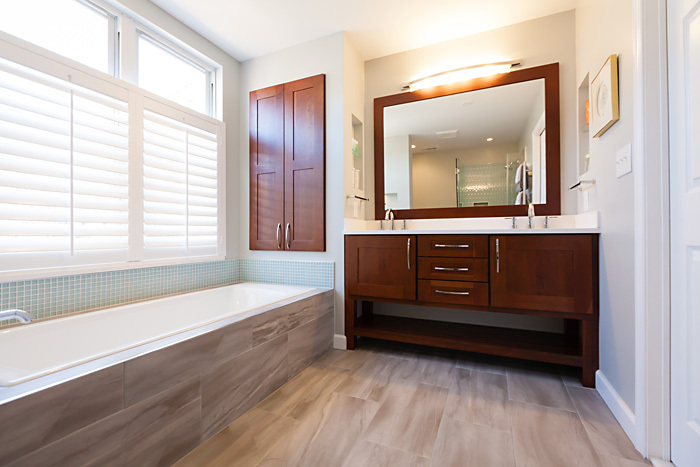 The goal for the master was to create an upscale, hotel-like bathroom, where both husband and wife could have their own space and spa-like experiences. 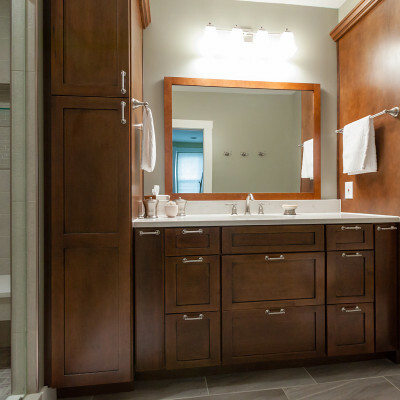 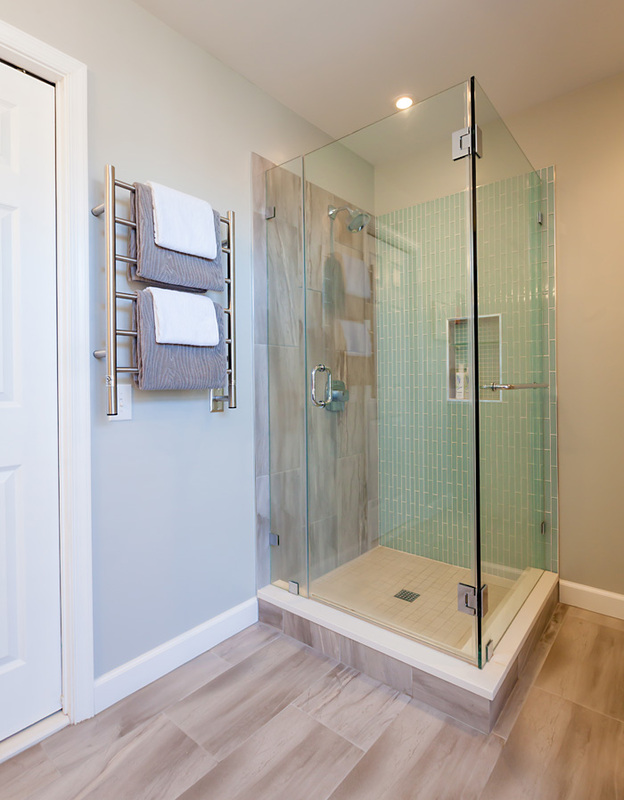 This was achieved through adding a glass surround shower, deep soaker tub, double vanity with personal niches and towel racks, built-in cabinetry and a semi private water closet. 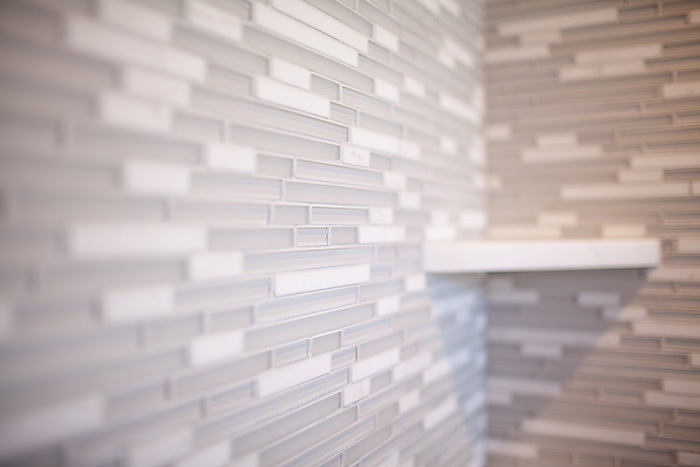 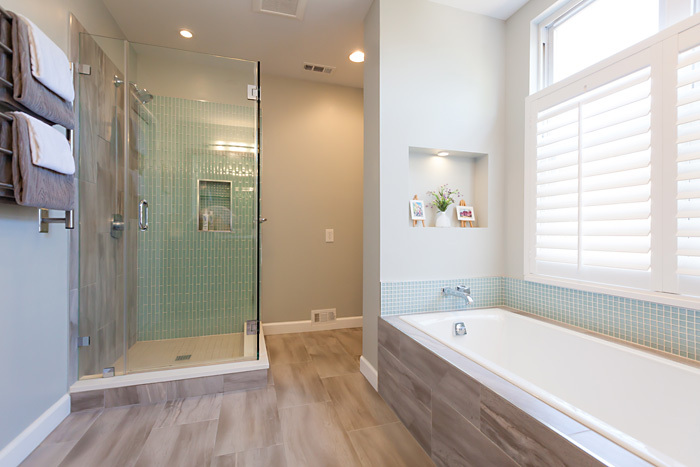 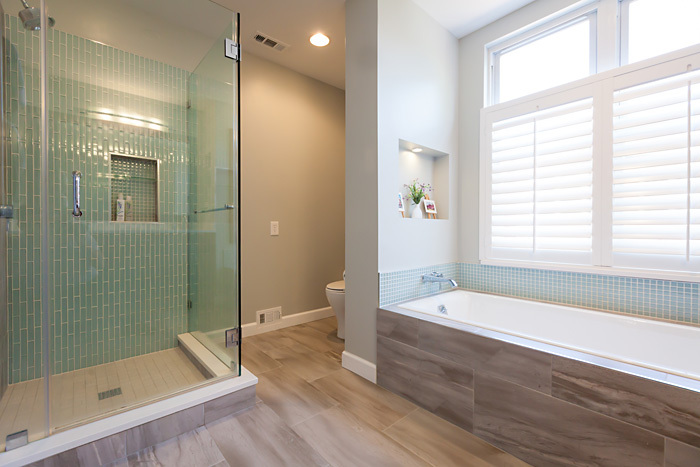 Glass and porcelain tiles were utilized to create a signature feel and put the finishing touch on this oasis which maximizes space, flow and enjoyment. 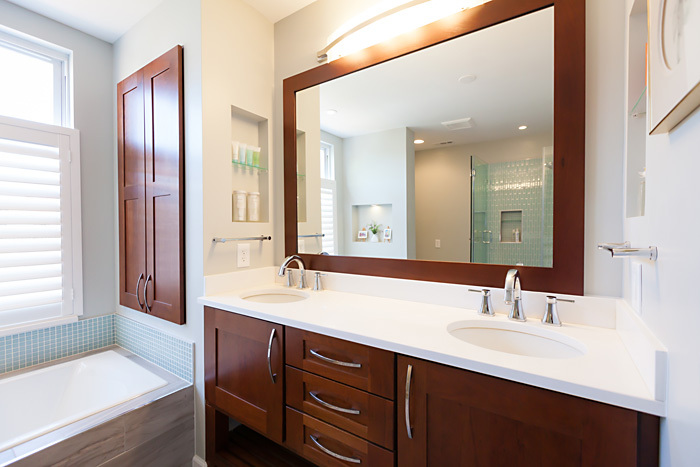 Entry to the bathroom is through the redesigned his/her closet.